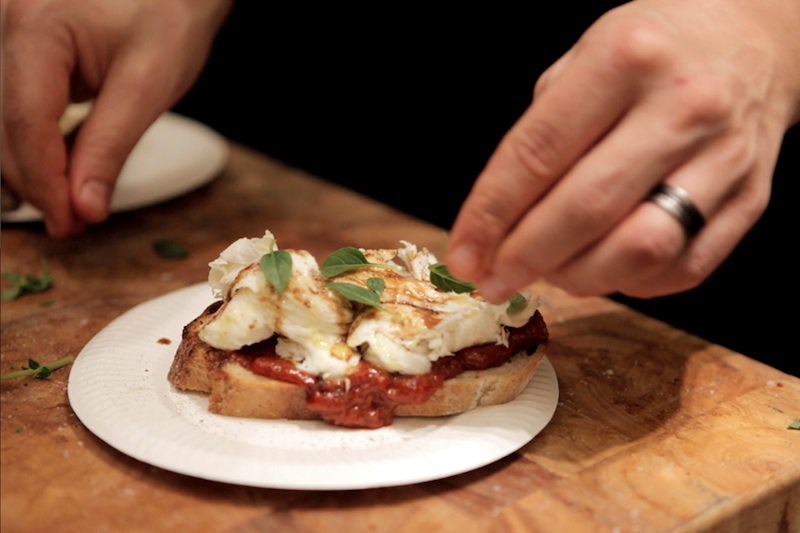 Sydney’s Italian Wine + Food Festival is back and more Italian than ever! They say that the Italian’s do it better and we can’t help but agree. They’ve got the magnificent architecture and sites. They’ve got the gorgeous men with their enchanting accents. But upstaging all of that, they’ve got the wine and they’ve got the food. Make some room in your bellies because Sydney’s Italian Wine + Food Festival is back again for 2017 and is bigger and more Italian than ever. So if you’d like to pasta time away Sunday August 27th, the Italian Wine + Food Festival is the place for you. Sydney’s favourite Italian festival will be celebrating five years with a brand new venue at the Cutaway, Barangaroo. From the messy spaghetti loving kid to the well travelled wine connoisseur, all will be celebrating the famous cuisine under the one roof. 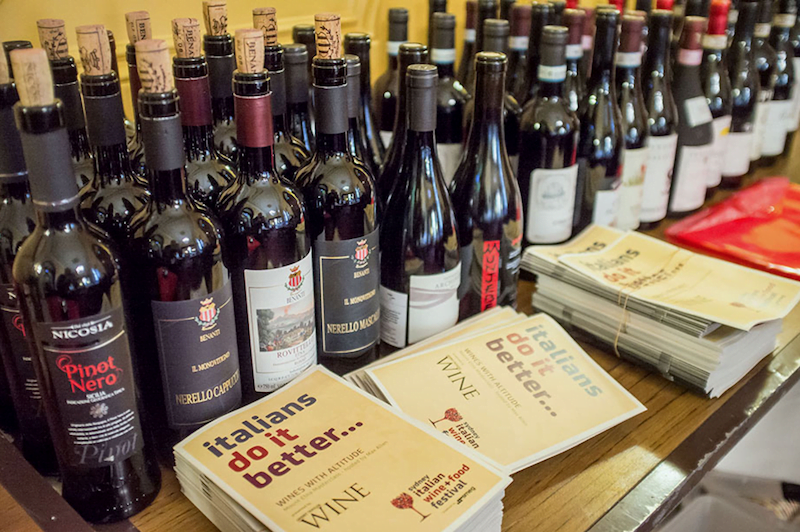 Smell, touch, feel, talk and most importantly, taste over 200 of Italy’s finest wines. Come closer to understanding more about the Italian wines you love, the ones you are soon to love and the fine Italian winemakers and importers who strive to quench our palates in the most delicious way possible. Along with wine tasting, you’ll also be treated to Sydney’s top Italian chefs, with the likes of Giovanni Pilu, Lucio Galletto, Federico Zanellato, Stefano Manfredi and Gianluca Donzelli, Nino Zoccali, Richard Ptacnik, Gabriele Taddeucci, Lucio de Falco and Youssef Touati leading the charge. Feast on pizza, pasta and Italian snacks in one of the many pop-up restaurants from Sydney favourites Otto, Lot.1 Sydney, Balla, Lucio Pizzeria and a get a firsthand taste of Marta by the team that gave you Popolo. Looking for something a little stronger? There’s also coffee from Espresso di Manfredi’s baristas, Moretti Beer on tap and authentic Italian aperitivis from Big Poppa’s bar team, serving up Negroni’s, Venetian Spritz and Americano’s all day! The Marketplace is where you’ll be able to shop like an Italian local for fresh bread, truffles, olive oils and vinegar, salami and prosciutto, gelato, pastries, fruits and vegetables and of course, cheese. Mamma mia! Learn how to put all that fresh produce to good use with cooking demonstrations and live cheese and pasta making. Bellissimo! Once you’ve eaten your fill, have sampled many Italian treats on offer and have exclaimed to yourself sono pieno come un uovo (I’m as full as an egg) settle down for a relaxing glass or two in the Festival Wine Garden. You and the gang will have planned your next trip to the boundless vineyards of Tuscany by the time you get to the bottom of your first bottle. Tickets for the Italian Wine and Food Festival start at $45 (plus booking fees). Tickets include festival entry, all wine tasting, tasting glass, food sampling, espresso coffee, Italian mineral water, cooking demos + entertainment included. Feel like splashing out on all the goodies? Jump on a VIP entry ticket. The ticket includes everything in the general admission pass plus some Italian Wine & Food Festival souvenirs, a glass of wine, Negroni cocktail and a shopping bag filled to the brim. We’re giving away 1 (all day) Double Pass to the Italian Wine + Food Festival, valued at $200. This all day pass includes festival entry, all wine tasting, 2 tasting glasses, food sampling, espresso coffee, Italian mineral water, cooking demos + entertainment included. To enter, simply click here! Sunday 27th August 11am to 9pm.